There are many versions to this old Scottish family name, which has changed many times through history but they all originate from the same progenitor. In the ninth century a Danish Prince with the name of Torquil was on his way to join Kenneth McAlpine’s fight to become King of Alba, but Torquil and his fleet of ships wrecked on the Isle of Lewis. There he was helped by the Chief of the Clan MacLeod to rebuild his long boats and during his time on the Island Torquil married the daughter of the Clan Chief. He went on to sail to Dal Riata to join Kenneth McAlpine to fight against the invasion from the North and for his vision for a unified Scotland. The ferocious ninth century raids led by the Vikings threatened the destruction of the powerful Pictish Kingdom created by a vacuum of power. Kenneth MacAlpine whose father Alpín mac Echdach, was beheaded when fighting for a Pictish King, gathered a large number of followers and fought for his legitimate claim to become King of the Picts. To restore his father’s honour MacAlpine offered a charter of lands on Loch Aweside to those who managed to retrieve his father’s head from a spike held at his opponent’s fort. 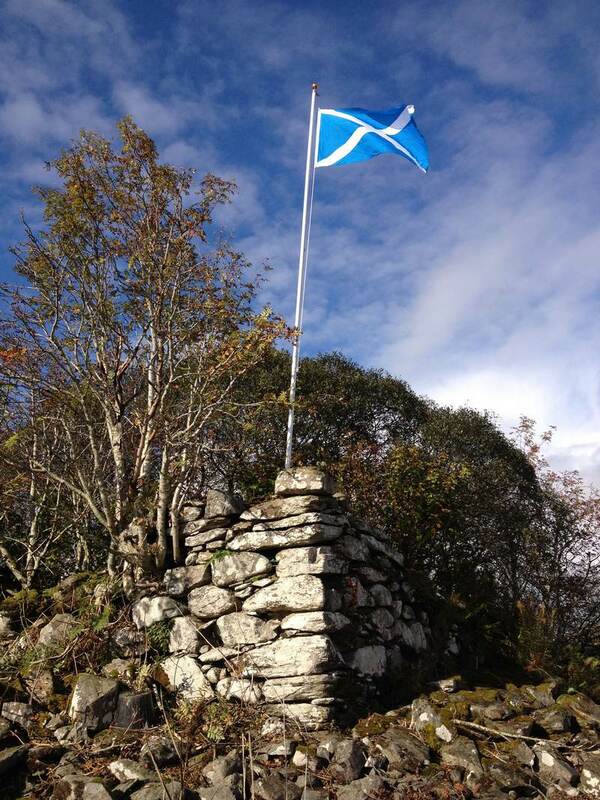 Torquil, the Dane, succeeded in this task and was rewarded the lands marked out by a ‘Leum Scobhaig (a hawk’s flight). The hawk flew from Ach-a-Ghlinne near the Pass of Brander to Avich, thus awarding (by royal charter) this stretch of land to Torquil, the originator and forefather of the Clan MacCorquodale. Kenneth MacAlpine went on to successfully take rule as King of the Picts and through integration of the Gaels against the Norsemen became the first King of the Scots. 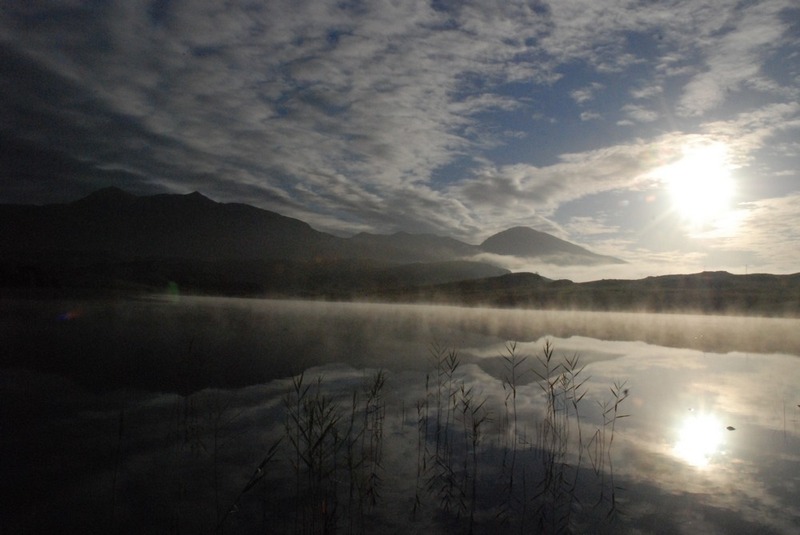 With the charter of those lands bordering Loch Awe in his possession Torquil established the seat for the McCorquodale Clan at Eilean-A-Bharain on Loch Tromlee. It is said to be the oldest barony in Scotland. The castle on the Loch (referred to as Tighe Bhain) and later the baronial house at the top of Belach-ABharain were undoubtedly the heart of the Clan’s barony of Phantelane which included thousands of acres for over 900 years. It seems unclear where the name ‘Phantelane’ originated from, but it is suggested that its origin may be found in the Gaelic language and is the name for the Island ‘Fionn Eilean’ or Fionn’s Island. MacCorquodale claimed to be a sept of the MacLeod Clan, its name derived from ‘Mac’ meaning ‘the son of’ and the name of the Clan’s progenitor ‘Thorketill’ or ‘Torquil’. The marriage between the MacLeod Chief’s daughter and Torquil, the Dane, on the Isle of Lewis suggests a descending blood relation interweaving the two clans; with the name Torquil strongly represented in the lineage of the MacLeod Clan. Furthermore Loch ‘nan Leod’ sits on the MacCorquodale’s land and is close to the Clan seat, hinting at the strong connection between the two clans. 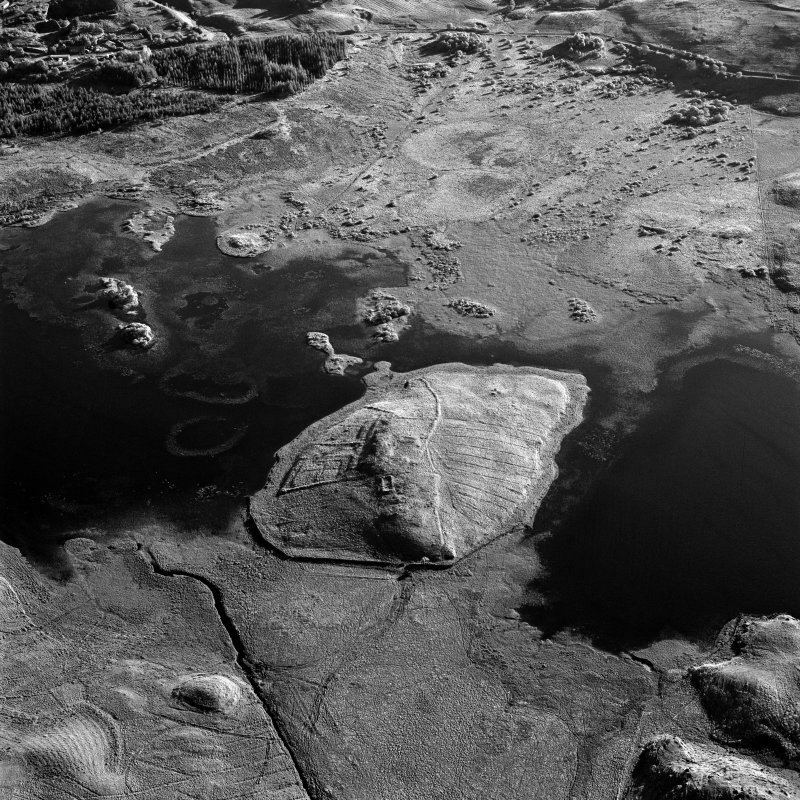 The Argyllshire habitat and royal charter confirm that the MacCorquodales are a distinct clan. Their chiefs were the Barons MacCorquodale of The Barony of Phantelane and they were centred at Eilean-a-Bharain on Loch Tromlee. 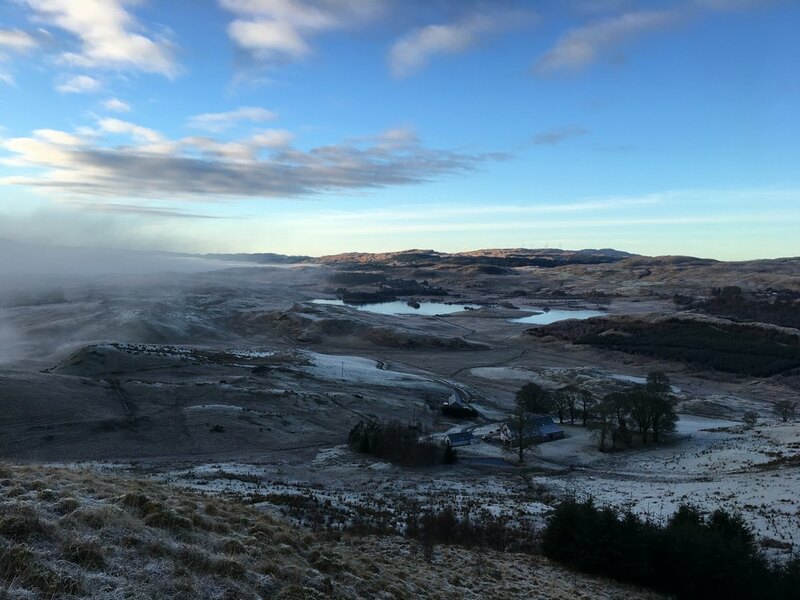 From their island castle they held baronial power over the thousands of mountainous acres which have been their domain since the ‘leum scobhaig’ in the 9th century. References over hundreds of years of the MacCorquodale clan and barony evidence the continuing presence of a MacCorquodale baron and barony for over 900 years. Research at The Scottish Records Office in Edinburgh will reveal Royal charters granting continuance of the Barony including one from Robert The Bruce, in 1309. 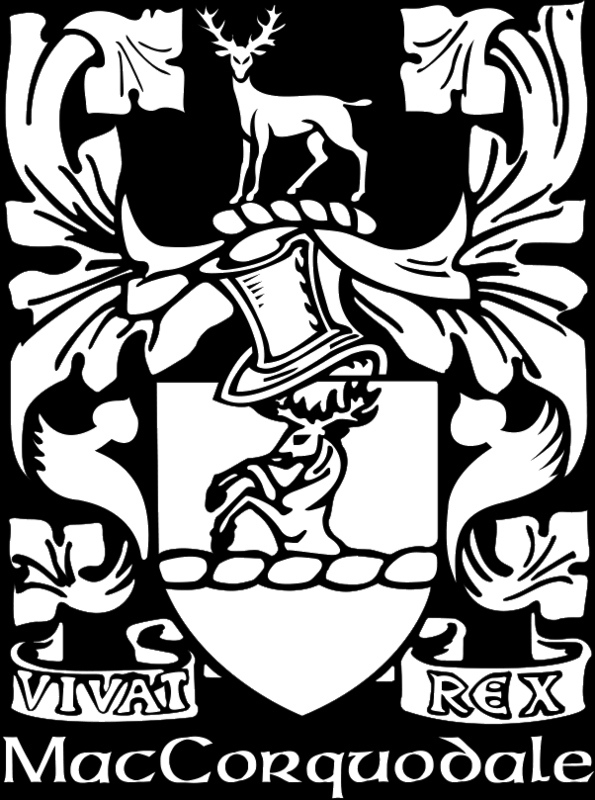 In 1428 Euan MacCorquodale and the chief of the Campbells were summoned to Court, with their charters in order that adjudication might be made in a land dispute with Scrymgeour, Constable of Dundee, who held the neighbouring lands of Glassary. Such was resolved when Euan’s son, Malcolm, married the Constable’s daughter in 1436. The Dean of Lismore’s book of Gaelic poetry (collected 1514 - 1551) contains verses by Effric nighean Thorcaidill, poetess of the clan, and in 1542 the MacCorquodale lands were reincorporated by royal charter as a free barony. Extracts from “The MacCorquodale Papers” held at the Edinburgh Records Office record the estates of Archibald McCorquodale of Phantelane, who died 1700 A large baronial three story stone house had been built around this time a photograph of the ruin is shown here. It is thought that Archibald had amassed considerable debts as the barony struggled to recover from the destruction of the island home on Loch Tromlee! Succession of the title seems to have been suspended until Hugh MacCorquodale (Archibald’ s great grandson) claimed the Baronial rights in 1717. The “Inventar of The Heretable Estate” details the still considerable land holdings and rents sourced to the Barony. 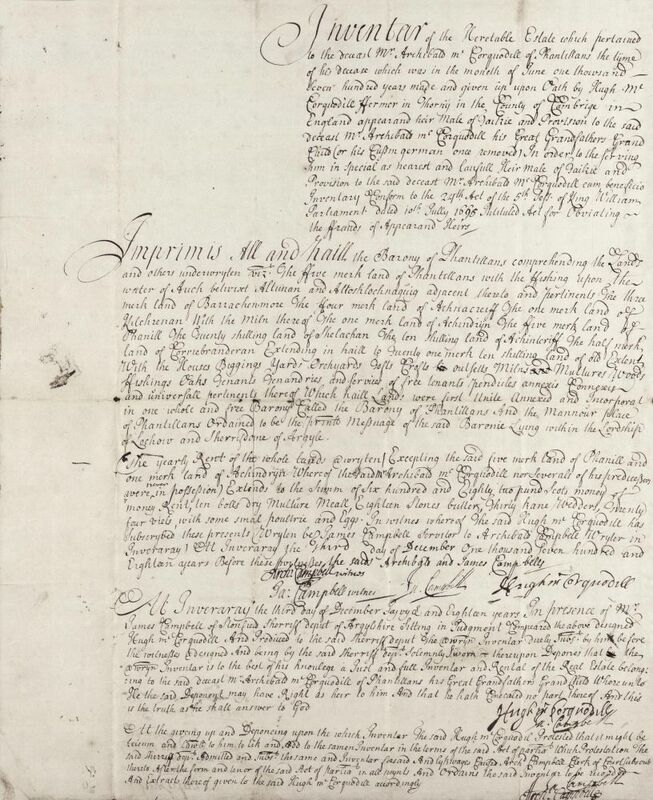 “Imprimis All and Hail the Barony of Phantillands” this document signed by Archibald’s great grandson Hugh MacCorquodale and witnessed by Mr James Campbell the Sherriff of Argyll at Inveraray in 1718. A copy is on display at the current Baronial house. An example of how catastrophic events in Scottish history effected the clan are particularly poignant, one such was locally known as “The Battle Of Tromlee”. During the civil wars between the Covenanters and King Charles the Campbells were supported by the McCorquodales. On one cold December’s morning in 1644 over the hill from Ballacandar appeared the army of Kolkitto MacDonald, a friend of the Baron MacCorquodale. Kolkitto took umbrage at the Baron’s refusal to welcome him at the castle on Tromlee where he had previously stayed on numerous occasions. As the baron supported the Covenanters cause and the Cambells he was put in a very awkward position. It is said a volley from a musket was fired during negotiations killing one of the MacDonald’s men. The ensuing battle went badly for the MacCorquodale men their castle was pulled down and burnt, the nearby houses and crofts of the McCorquodale township were destroyed. One version claims the chief and his family escaped an other say he was killed and only his son Ewen survived. After this sacking of their stronghold on Fiontt Eilean by 1645 the clan was badly weakened and did not receive compensation or support for there loyalty and sacrifice when the side they had supported eventually triumphed. This undiminished loyally, courage and bravery was further evident in the recorded notes referring to a Baron MacCorquodale leading a company of men supported by the clan Chief McArther to defend Argyll against the Jacobites in 1745. It is not clear to this date how the continuing line of Barons of Phantelane has become confused. Clearly the tumultuous events of Scottish History played a major part. The atmosphere and the economics after 1745 encouraged many Clans folk to emigrate, seeking a new life. That loyalty, courage and bravery of the bloodline of Torquil, the Dane, has found his descendants now living across the World. 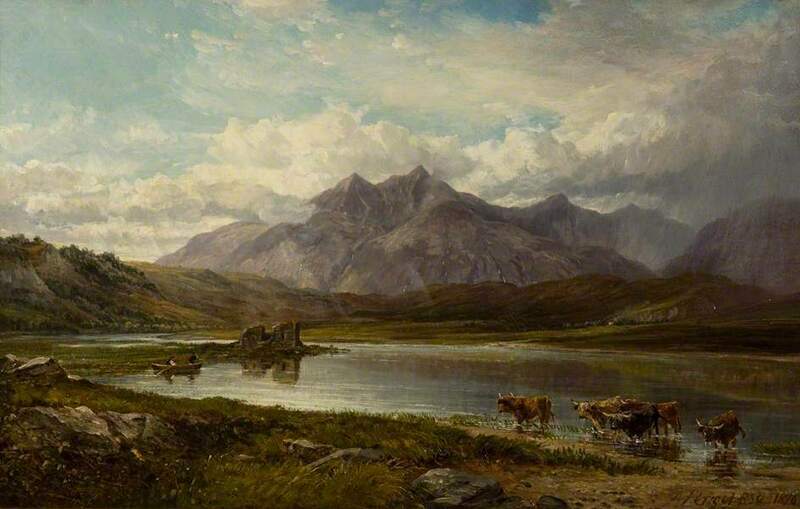 A fold of Highland Cattle roam the Estate lands cooling them self off in the Loch Tromlee as they have been doing for centuries evident by a painting of Loch Tromlee, Argyll by Arthur Perigal The Younger (1816-1884), dated 1873, found in the archives of The McManus Dundee’s art gallery & museum (Photo credit: Dundee Art Galleries and Museums Collection (Dundee City Council)) (link: https://www.artuk.org/ discover/artworks/loch-tromlee-argyll-92791). The ruin of the castle still remains on the island on Loch Tromlee and the remaining gable end of the later three story baronial manor house still stands tall at the heart of the barony which is today called ‘Ballimore Farm Estate’. A substantial new house and cottage sit to the immediate south of the house’s ruin and are being run as self-catering accommodation. With the roaming highland cattle and the resilient hill sheep the estate has thrived to establish itself as a farm and to preserve and restore the remains of the vast history of this area and the old Barony of Phantelane.